Bucket bowl rummer with polished printies. English C1840. 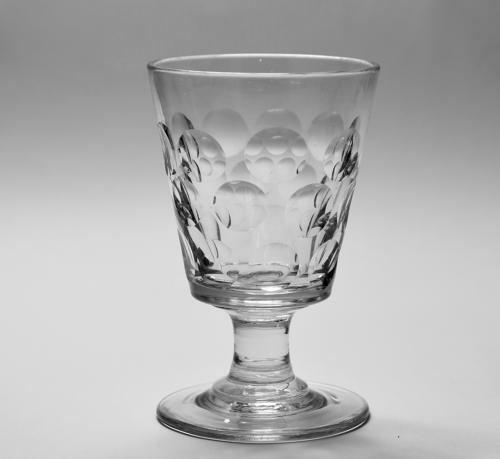 Note: The term printie is believed to be derived from the practice of grinding away the pontil mark after the glass has been removed from the pontil iron.